WhatsApp Business is designed to let small businesses have better control over their interaction with customers. The standalone business app initially launched back in September 2017 exclusive to Android and graced iOS in several countries last month and now it’s making its grand rollout for Apple users. Today WhatsApp officially confirmed the global launch of the service in a blog entry. Businesses in Brazil, Germany, Indonesia, India, Mexico, the U.K. and the U.S can enjoy the benefits of the app today with more regions coming soon. There’s also a web version for desktop use. Unlike the standard messaging app, the business one gives advanced features like automated quick replies, greeting and away messages similar to what Facebook Messenger offers. When setting up the app, the merchant creates a profile with the establishment’s address, working hours and links to social media accounts. 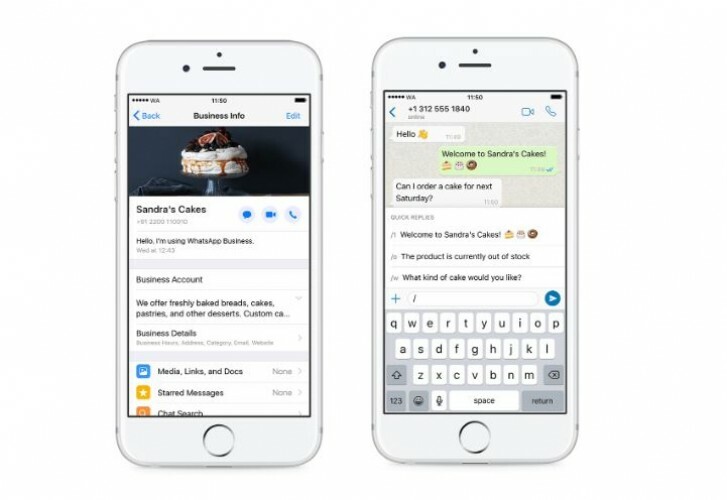 According to WhatsApp, the service is helping small businesses owners around the world to expand their reach faster and more efficiently.